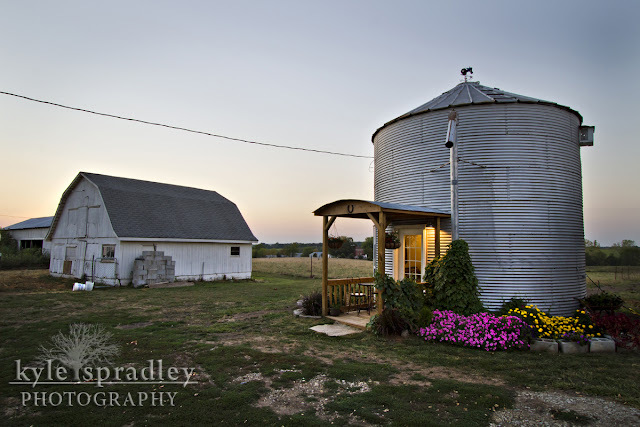 In September, I had the pleasure to stay the night at Granny's Country Cottage in northern Missouri. Owners Jack and Donna Thieme's first adventure into the bed-and-breakfast world by opening Donna's childhood farm home. In July, they finished converting their 4,000-bushel grain bin into a two-story bed-and-breakfast. The 700-square foot home is fully finished and furnished with a kitchen, sitting area and dining area on the main floor. Follow a curvy set of stairs up to the second floor to find a queen-sized bed and full bathroom. Both homes are decorated in the rural, country theme and a great chance to get away from the hustle and bustle to relax. Jack and Donna Thieme make each guest's stay memorable by providing a comforting atmosphere and great meals from homemade ingredients. 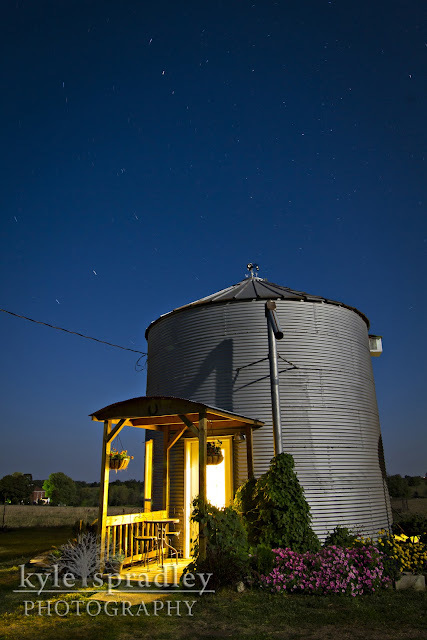 The grain bin or "Round House" is located on a small farm property in Linn County. A nearby farm pond and picturesque scenery provide for a peaceful weekend. 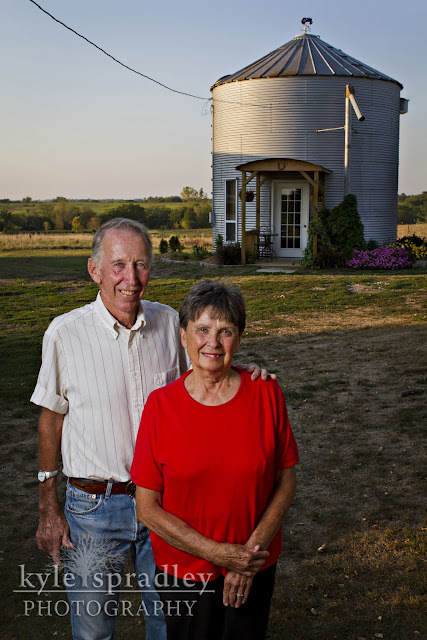 Jack and Donna Thieme opened the Round House in July. It took a team of workers including several of Jack and Donna's grandkids, 5 months to convert the grain bin to a place to stray. 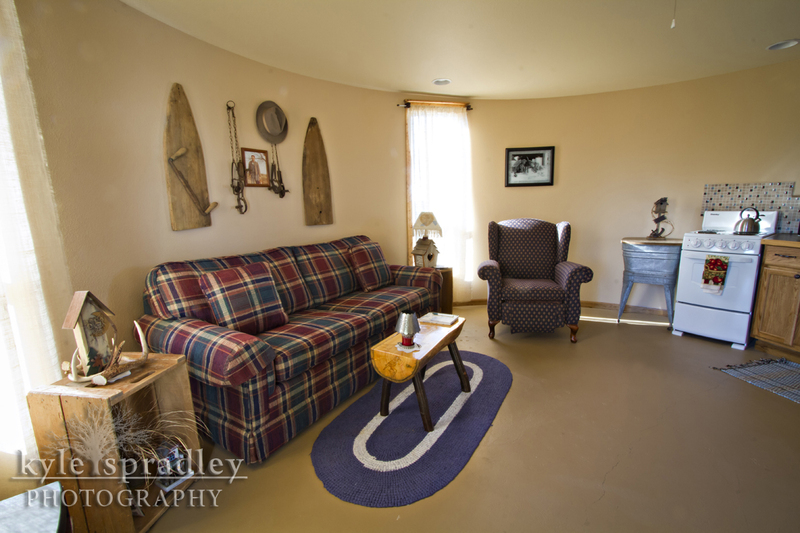 The first floor features a living room setting with a pull-out couch. 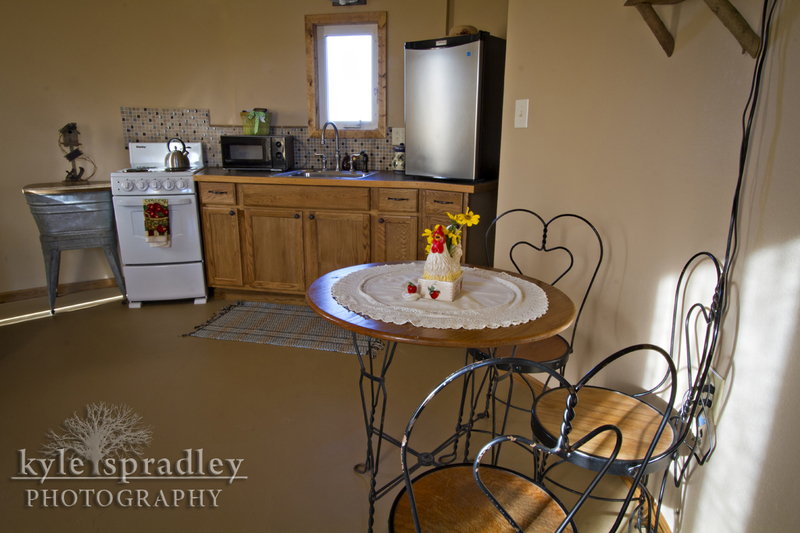 The other side of the first floor features a dining area and kitchen. 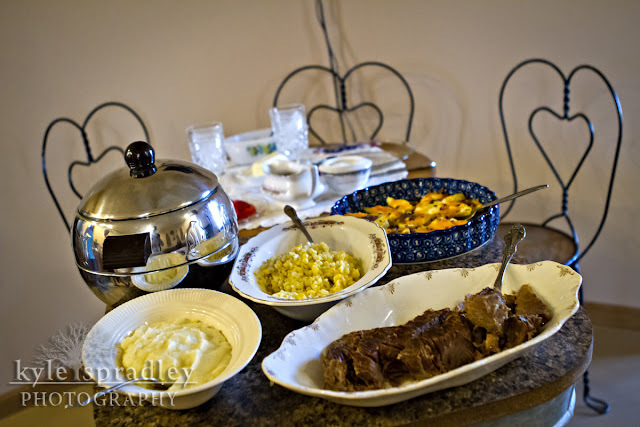 A homemade meal by Jack and Donna that included pot roast, mashed potatoes, corn, stuffed peppers and homemade rolls. 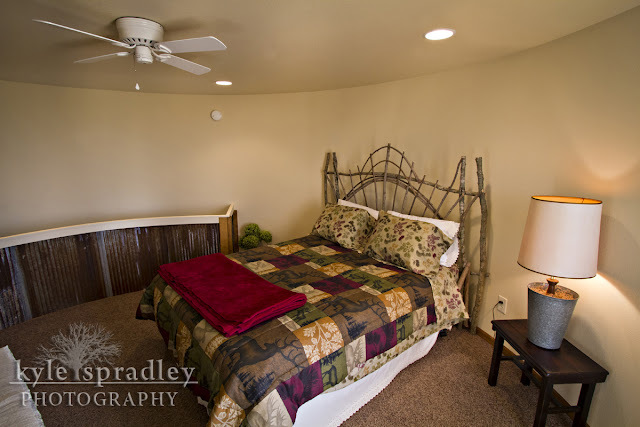 Follow the winding stairs up to the second floor to find a queen-sized bed with a bent-willow headboard made by Jack and Donna's son, Lin. The Round House at night with a peaceful, country sky. I did a story on food challenges from across Missouri for Rural Missouri Magazine. I traveled to just about every corner of the state to shoot these photos. Met some amazing people and had some great food. All of these photos I lit with either one or two SB900 Speedlights with Lastolite soft boxes. I fired them wireless with Pocketwizard Plus II. 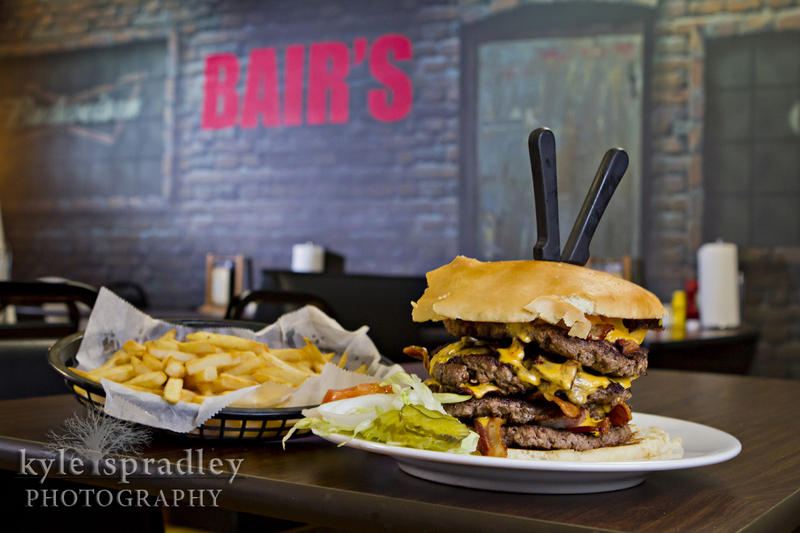 Bair's Ultimate Mac Daddy Burger in Springfield. 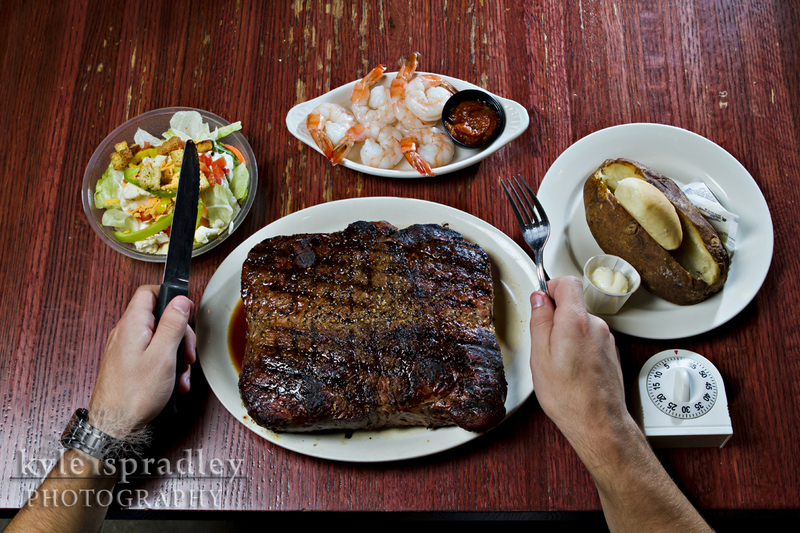 The Black Iron Grill's 77oz Steak Challenge includes a small salad, 5 peel-and-eat shrimp, dinner roll and large baked potato. The Man vs. 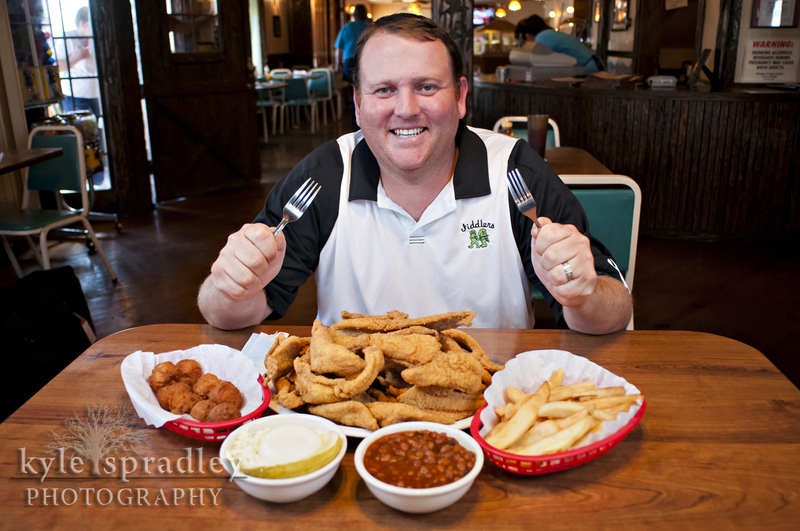 Fish Challenge at Fiddler's Fish House in Dexter includes 20 catfish filets, a dozen hushpuppies, a basket of fries and a large bowl of cole slaw and baked beans. 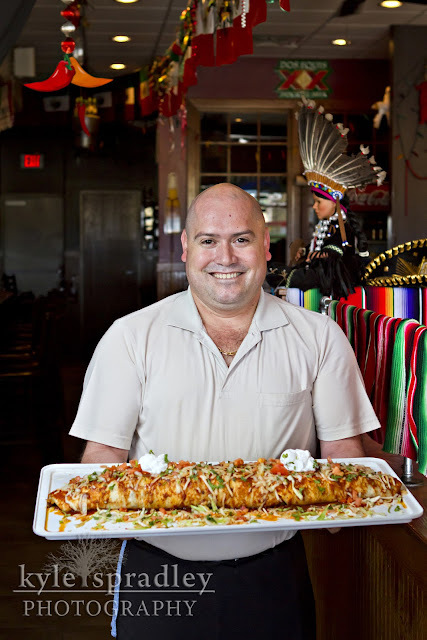 The El Azteca Burrito Challenge at Fiesta Azteca in Lee's Summit is a 7lb. burrito filled with chorizo, carne asada, beef, chicken, sour cream, lettuce and cheese. The burrito is topped with pico de gallo, sour cream, enchilada sauce and more cheese. The Winkanator Challenge at Mary Jane's Cafe was named after head chef "Wink" (at left) by his son Brandon (at right). The 20-inch, 10-pound pancake is accompanied with 12 eggs, 12 pieces of bacon and 8 pieces of sausage. Wash it all down with two mega glasses of chocolate milk. 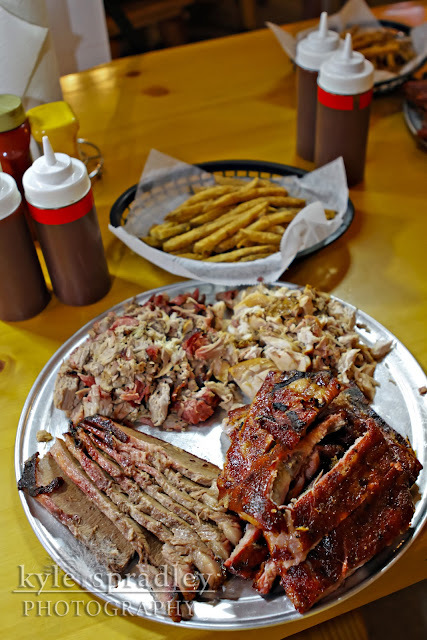 The Mega Moose Challenge at Moose Brothers BBQ in Russellville features a full slab of St. Louis-style ribs, 1lb. of pulled pork, 1lb. of smoked brisket, 1lb. of chicken and a pound of french fries.